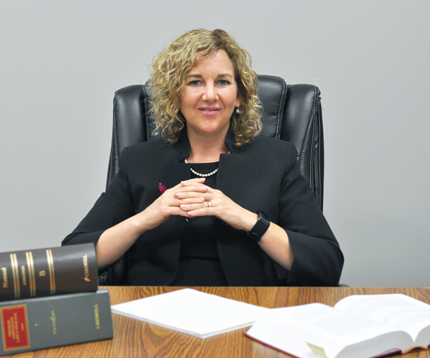 With over 19 years of legal experience, including 14 spent on Toronto’s famous Bay Street, Barbara brings a wealth of knowledge to the practice of law in Burlington. 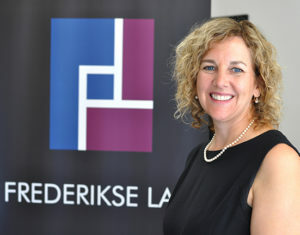 She applies a common sense approach to the law, putting her clients’ interests first, giving practical and cost effective solutions in corporate/commercial transactions, real estate, commercial leasing, and wills and estates. Barbara is a lawyer that you will like, and can trust. As part of her other job, raising her 3 growing boys, Barbara has put in many hours with aspiring hockey players through her years as a minor hockey coach and trainer. You can often find her anywhere fun is to be had; whether at a trampoline park or in the great outdoors helping to find all manner of insects, amphibians and reptiles! She aspires to instill in her boys her love of cycling. A proud member of the Burlington Chamber of Commerce, the Oakville Chamber of Commerce, the Halton County Law Association, and the Hamilton Law Association. Barbara is a strong supporter of Burlington, Oakville and Halton Region. Barbara also serves on the Board of Directors for Nelson Youth Centres, the Membership Committee for the Burlington Chamber of Commerce, and the Good Morning Oakville Committee with the Oakville Chamber of Commerce.